Looking for a salad perfect as a side dish with a summer BBQ cookout? You are in the right place! 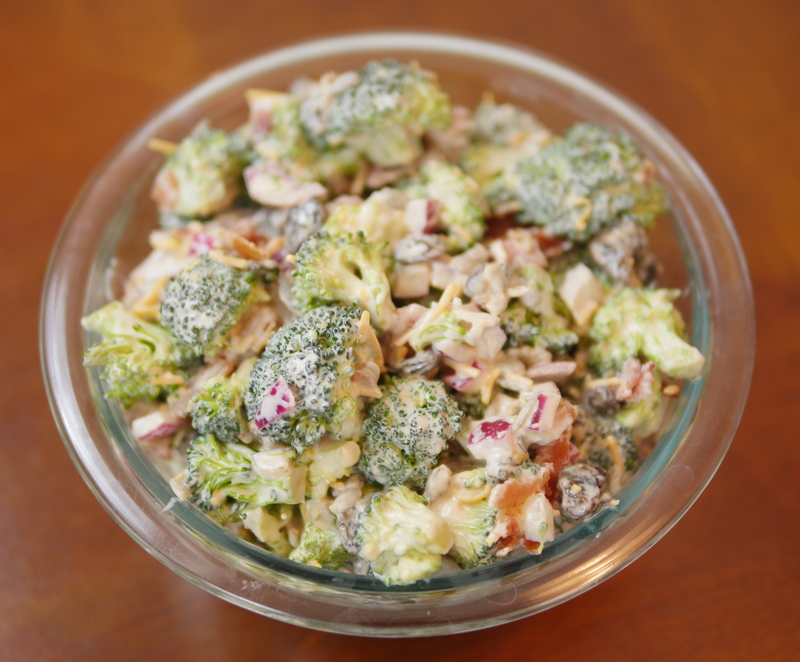 Featured today on Theresa’s Reviews is an easy broccoli salad recipe that has a healthy twist. My family enjoys eating this dish in the summer because it is light and refreshing. If you follow Theresa’s Reviews on Instagram, you know how much my family loves eating delicious food. I hope you enjoy checking out one of our favorite dishes this week! 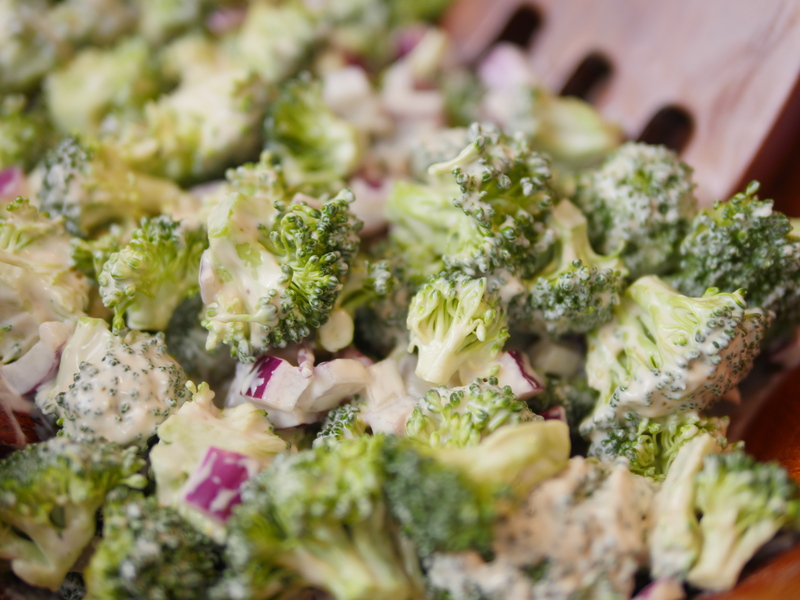 Although classic broccoli salad is made with mayonnaise, this recipe adds in Greek yogurt for additional protein. My children usually will not eat Greek yogurt because they think it is too bitter, but they couldn’t even notice it in this recipe. My daughter said the dish tasted like cole slaw, which she enjoys. Rinse the broccoli and remove the stem. Break the large florets down into smaller, bite sized florets using a knife. In a bowl, mix together the Greek yogurt, mayonnaise, coconut sugar, and white distilled vinegar. 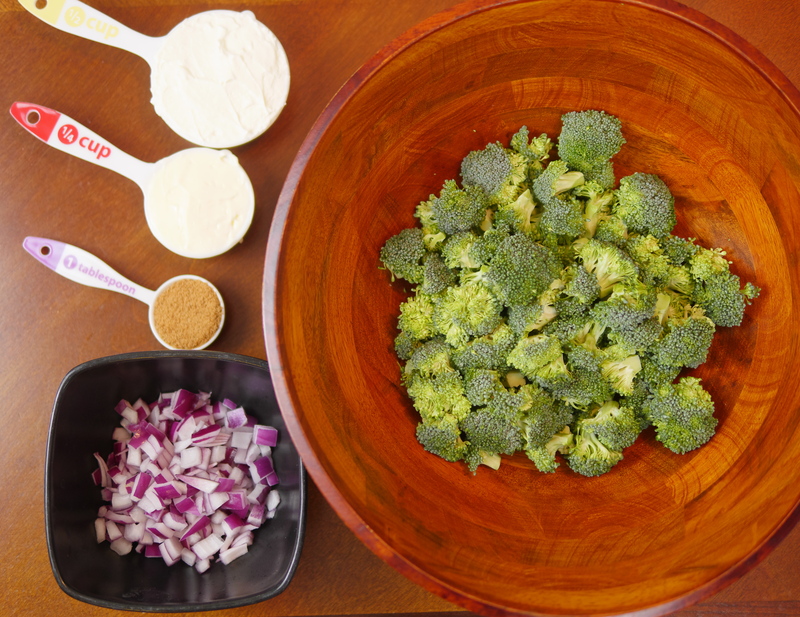 Add to a bowl with the broccoli and mix well. Let the mixture sit in the refrigerator overnight to help the broccoli soften. The next morning, mix it well to help the wet ingredients cover all the broccoli, and taste it. If it is too bitter, add more of the yogurt, mayonnaise, coconut sugar to taste. To help it soften more, you could also add more white distilled vinegar. When you have flavored it to your taste and the broccoli is soft, add in the raisins, sunflower seeds and cheddar cheese. Preheat your oven to 400 degrees. Place the bacon in for 15 minutes. When the bacon cools, break it into pieces and add it to the broccoli. Stir well, and enjoy! For more healthy and kid-friendly cooking ideas, follow Theresa’s Reviews on Facebook, Twitter, Instagram, Pinterest, and YouTube. What is your favorite summer salad? Share in the comments! 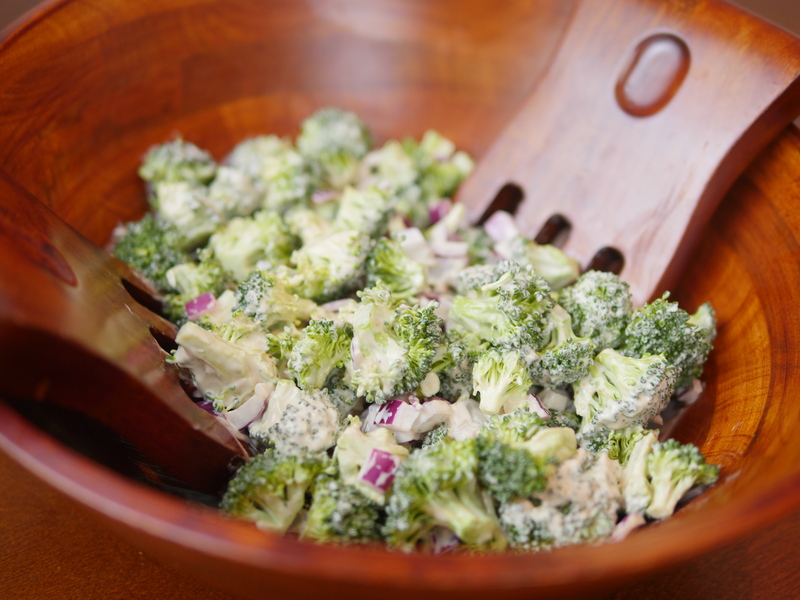 My family loves broccoli salad, so I will have to try this version! I can’t wait to try this. My husband used to get a similar one at work he really liked. As a kid, you could not have paid me to eat broccoli, lol. Now, I love it, but only the florets. I need to try this. I am so going to try this – thanks for sharing!